With my wooden mould complete I was able to use the vacuum former to create a plastic shell that matches the shape of the owl heads. I'm going to cast that shell with a silicone compound to make an exact replica of the wooden mould and I'll be able to make two shells from a single sheet of material. I needed a new vacuum forming mould for the owl heads, as there are a few workshops coming up over the next month it makes sense to do it properly. The basic shape was made up with a mix of 6mm and 3mm ply, there is a sacrificial layer in between the two which will be replaced with a larger disk to create the lip in the middle. 3 bolts were placed through the middle of the mould to help them stay together. The larger bolt in the middle was used to hold the mould in the pillar drill. This allowed me to sand all the layers down and make it nicely rounded. The laser cut edges are really useful here, basically anywhere still displaying a burnt edge hasn't been sanded smooth yet. 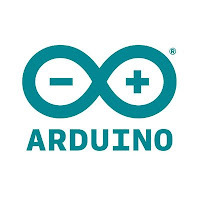 I already mentioned that I would be using Arduino to program these boards, Arduino is an open source hardware and software project that speeds up development on a range of Arduino compatible devices. Most of the hard work has been done already and provided in a wide range of libraries making this kind of embedded electronics accessible to almost anyone. Download the integrated development environment (IDE) from the the Arduino website and install it on your machine. This package comes with information about a wide range of devices but we will need to add the ESP8266 specifically before we can create a project for these devices. It is my intention to launch some new products in the near future and redo some existing ones so I'm taking the opportunity to tweak my logo. While it's functionally the same the whole text is now done with a single line font and the cat is also a single outline with whiskers. The redesign will undoubtedly save me seconds each time it is cut so I'm sure it'll pay for itself in just a matter of years. The logo can also be engraved to a similar effect simply by converting the stroke to paths and filling in the gap, useful for when I want to make larger logos. I've spent a lot of time recently working on various cakes for Dinkydoodle designs working on a range of moving cakes that are headed for mass production. 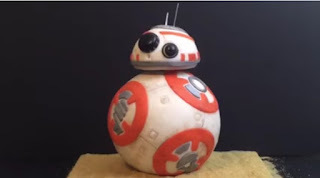 The Cars, Droid heads and Owl head, are all essentially the same thing, a controller and a few servos. Like most projects I work on now I started to look at the arduino range to for a controller and software, there are lots of compatible devices to suit every budget and a lot of the libraries are well established for all the basic functionality. The car needs some wireless control though which ultimately led me to the ESP8266 chips. Given my lack of recent laser cutting blogging I thought it would be sensible to share some information about this work in the hope that it might help someone else.